Fall is one of the most enjoyable times to ride. To get the most out of your cycling experience as a family or as an individual, consider the following routes in Arkansas. As we head into autumn, the air will turn cooler and the colors of fall will be vibrant across Arkansas – two traits of the season the entire family can enjoy. There’s no better way to take in both than with a family bike ride. With opportunities to get great cardiovascular exercise, spend time in the outdoors and enjoy quality time with friends and loved ones, there's a lot to love about cycling. 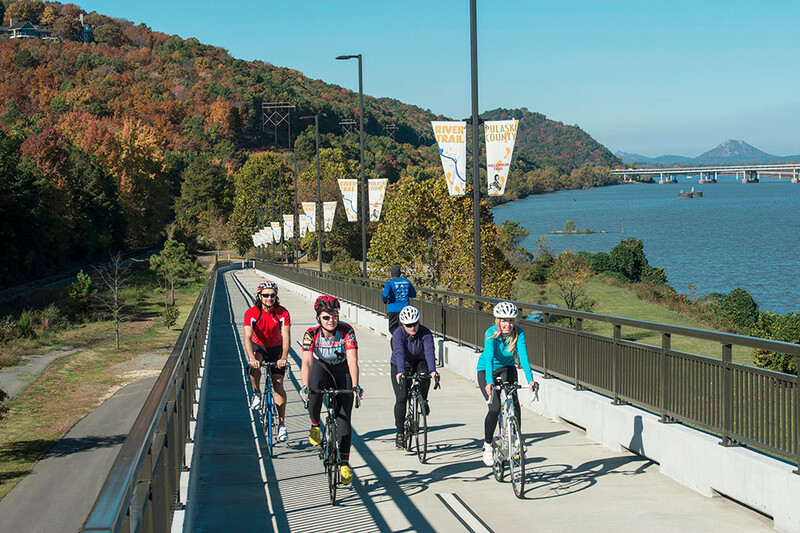 The Arkansas River Trail connects to dozens of parks and museums, making it a perfect way to travel around central Arkansas on a pleasant day. This prominent trail runs along the Arkansas River in Little Rock and North Little Rock. 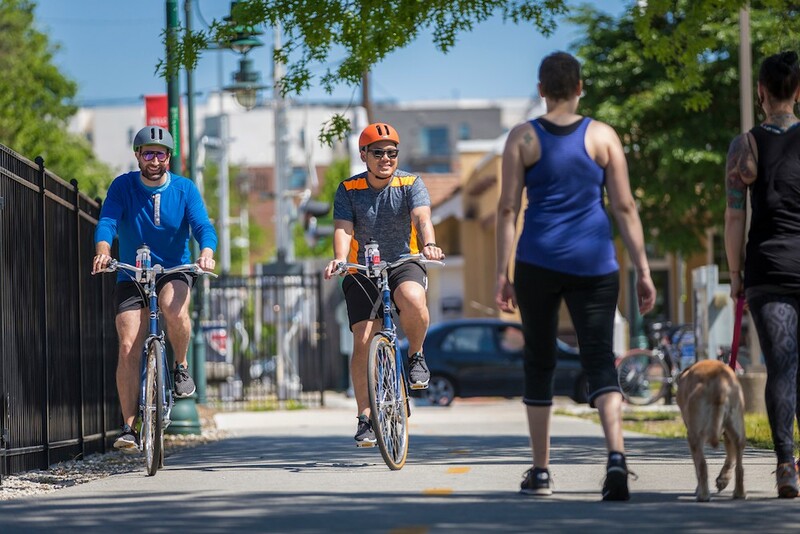 It winds its way around the entire metropolitan area and offers recreational opportunities for people of all ages, fitness levels and health conditions. The Arkansas River Trail offers scenic river views while providing access to many of the historical and cultural sites in the metropolitan area. It connects 38 parks, six museums and more than 5,000 acres of federal, state and local parkland. It’s a great beginner trail for the entire family! If you're looking for a challenge, this trail offers beautiful lake views and big climbs on the 37-mile Lake Maumelle Loop, one of the best bicycle tours in Arkansas for early morning riders. Start at the picnic area Pinnacle Mountain State Park on Highway 300, then turn right onto Highway 10. Expect heavy traffic along Highway 10, so early morning rides are recommended. Look for Highway 113 (end of Lake Maumelle) and prepare for a strenuous scramble up Wye Mountain. This trail is perfect for those who want to experience a big group ride. 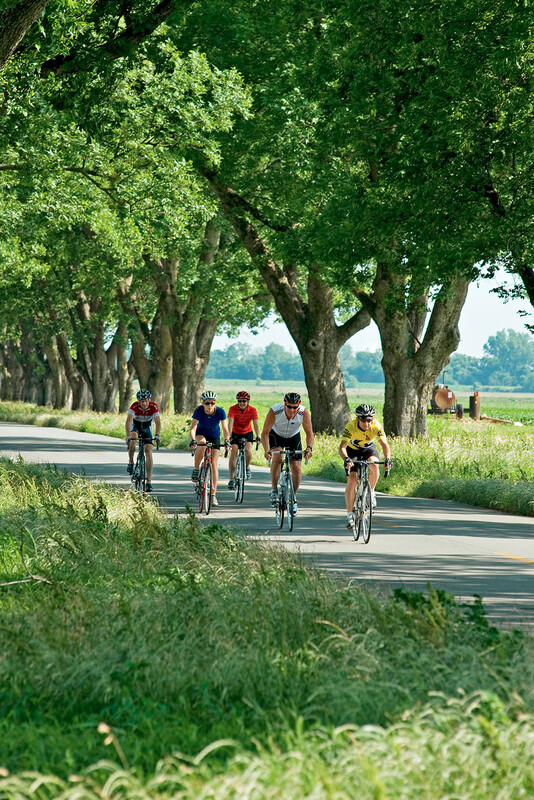 On this trail, you’ll travel by some of the state’s finest farmland where rows of cotton, corn, rice and soybeans line the road on flat terrain. The long version of this route follows Harper's Loop, a signed cycling route from the Arkansas River Trail in North Little Rock to Highway 165. The shorter route starts at the Plantation Agricultural Museum State Park in Scott and continues to England where you make a right onto Highway 161, which loops back to Scott. The flat terrain of Harper's Loop is easier for young riders to navigate. If you want a change of pace, try an off-road trail. The Rabbit Ridge Mountain Biking Trail is designed for beginner off-road cyclists. The trail is wide and has minor elevation changes making it the perfect place for a novice to ride. Kids will particularly like riding on this trail. It’s located just inside the visitor center entrance to Pinnacle Mountain State Park off Pinnacle Valley Road. It's important that everyone in your cycling group wears a helmet — even experienced adults. Bring water and small tools to fix a flat tire in case of emergency. One of the best routes for cycling in Arkansas is the Razorback Regional Greenway in Fayetteville. 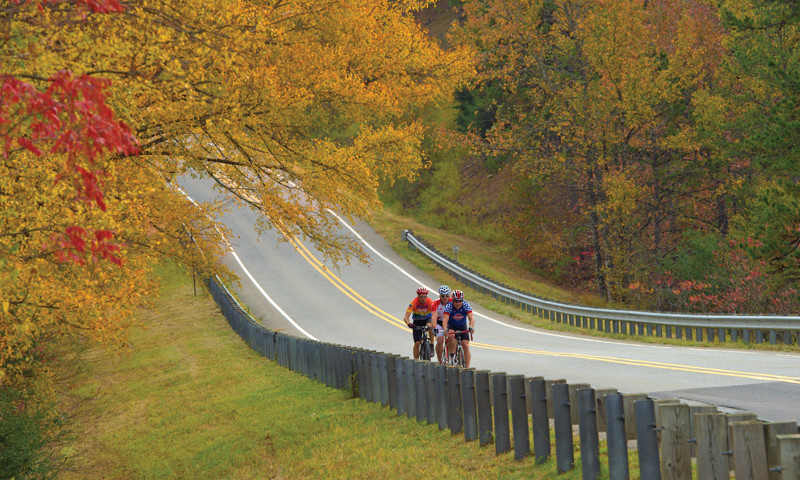 The 36-mile greenway is a paved, multi-use trail so it can be enjoyed by the whole family. The path weaves throughout northwest Arkansas, connecting six major cities in the region. This safe, well-lit path draws riders of all ages, weaving through parks, by city attractions, near restaurants and more. 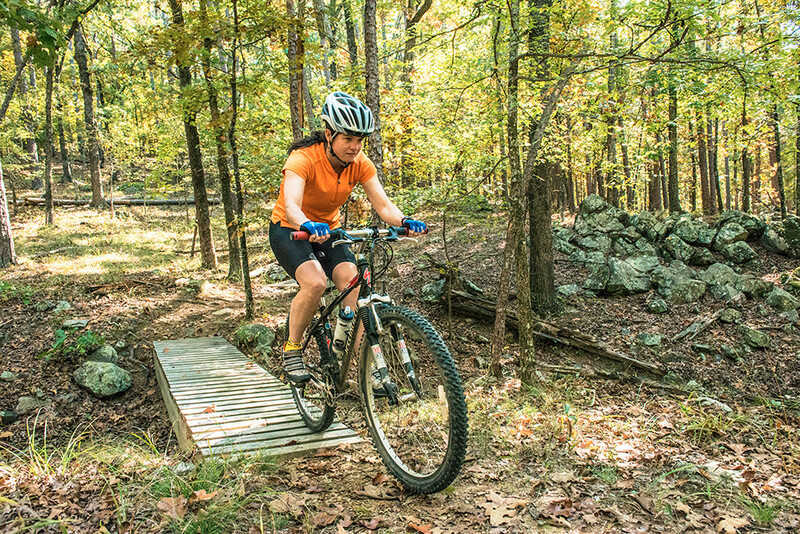 Riders can enter the trail south of Walker Park in Fayetteville and at numerous points throughout the region. ► Wear a properly-fitted helmet. It's especially important that young children be outfitted with a properly-fitting helmet. More than 70 percent of children between the ages of 5 and 14 ride bicycles, and 55 percent of those children don’t always wear a helmet, according to the National Center for Injury Prevention and Control. ► Adhere to the rules of the road. Cyclists have the same obligations as automobile drivers and must always ride in the same direction as traffic and obey all signs and rules of the road. ► Avoid distractions. Never talk on your cellphone or wear headphones. Be 100 percent alert at all times. ► Stand out. Cycling clothing is bright so cyclists can be seen. Avoid riding after dark or in poor weather when visibility is low. ► Maintain your bike. Before riding, ensure your tires are properly inflated. Carry tools to repair your bike in the event of a flat, or in case your chain falls off. ► Keep both hands on your handlebars. You'll have more control of your bike and a greater chance of avoiding unexpected obstacles. With these safety tips in mind, you can steer your way out of danger and enjoy the ride! 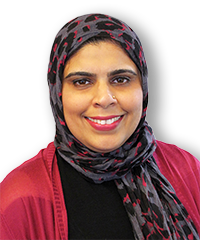 Lubna Maruf, M.D., medical director at QualChoice Health Insurance, is a graduate of Aga Khan Medical University in Pakistan and completed her residency at Michael Reese Hospital and Medical Center, affiliated with the University of Illinois at Chicago. She has over 20 years of experience in internal medicine and health care administration.